The charming sound of the Bossa Nova gained a large following in the 1960s, and has since contributed many standards to the jazz repertoire. 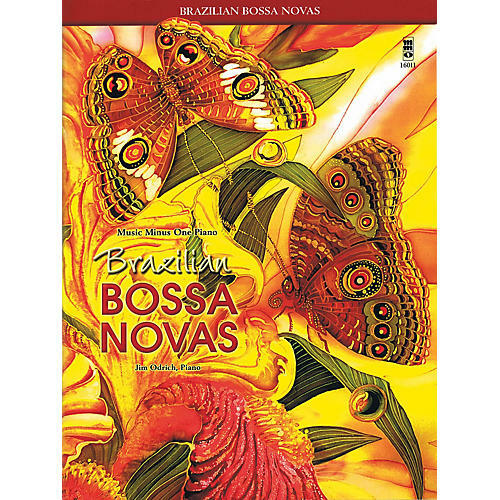 Some influential names in Bossa Nova include Antonio Carlos Jobim, Vinicius DeMoraes, Luiz Bonfa, Kenny Dorham and Newton Mendonça, all of whom are represented here, in songs such as: Black Orpheus · Blue Bossa · The Girl from Ipanema · Meditation · Once I Loved · and more. This edition includes a note-for-note transcribed solo piano part, printed on easy-to-read, acid-free ivory paper. The CD contains the complete performance of each piece in digital stereo, followed by a second digital stereo version minus the soloist. The pieces have been recorded by Jim Odrich on the piano.